The American Oystercatcher Haematopus palliatus is a familiar shorebird, with the significant advantage that it cannot be mistaken for any other shore species either to look at or to hear. Among all those little sandpipers and plovers, the handsome AMOY stands out from the crowd. 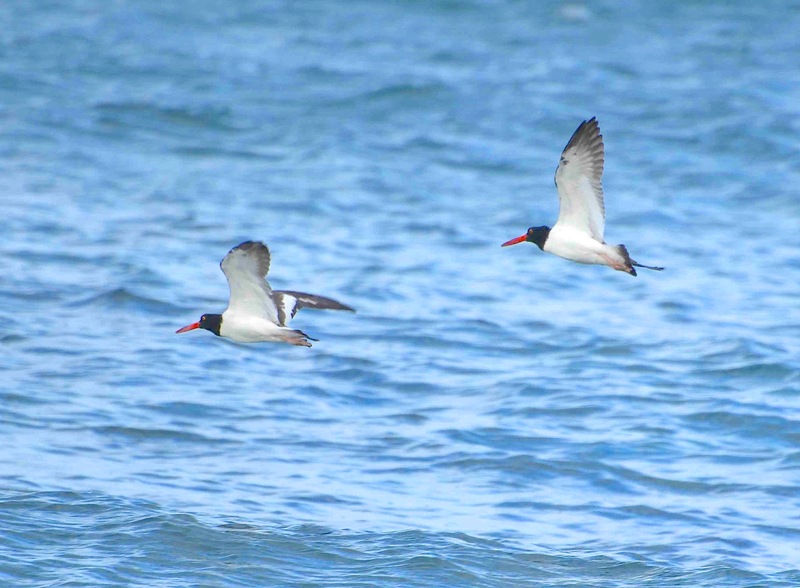 Here are two recordings of oystercatchers, unmistakeable call sounds that will probably be instantly familiar. 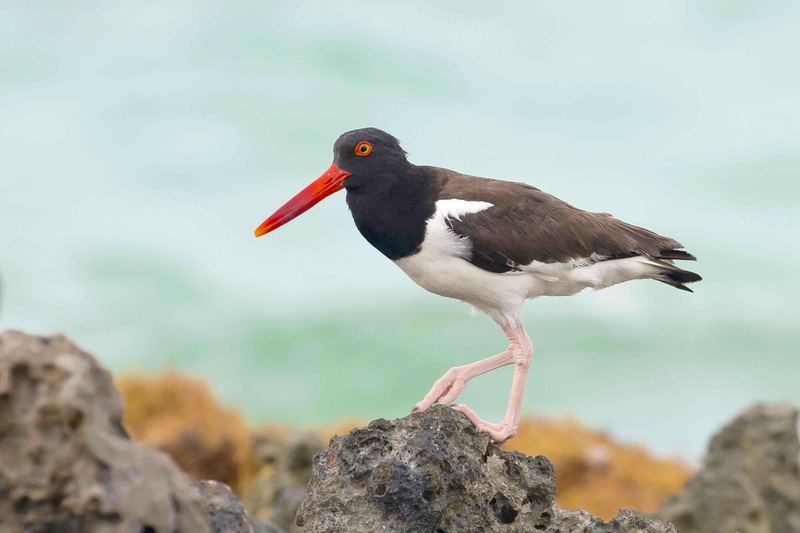 This fine video from Audubon shows close-up views of the American Oystercatcher, and unleashes more of the distinctive call-sounds – an insistent wittering – of the species. For some time, I found it difficult to distinguish American and Eurasian Oystercatchers. The markings of both species are variable according to gender, age, season and so on, but are generally very similar. Mrs RH noticed the salient difference at once – the eyes. The AMOY has bright orange eyes with red eye-rings; the EUROY’s eyes are the reverse colouring, as this example shows. 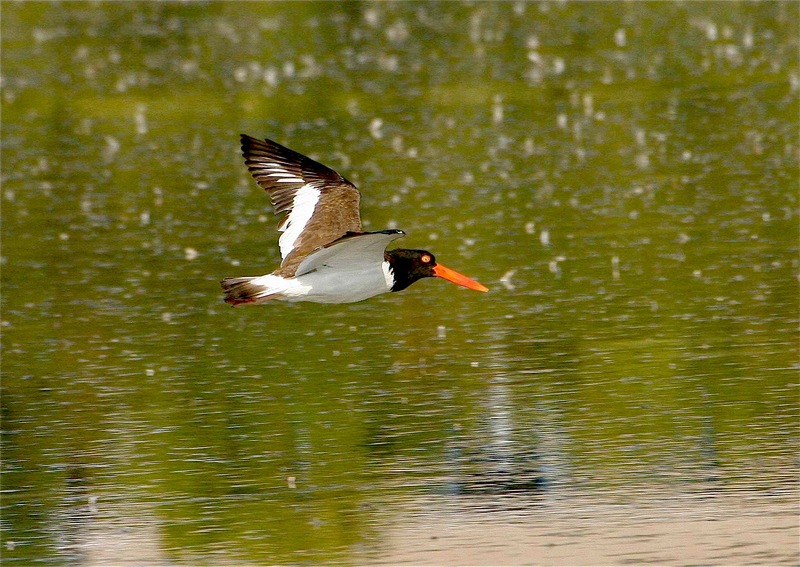 This entry was posted in "The Birds of Abaco", Abaco Birds, Bahamas Birds, Caribbean Birds and tagged Abaco Birds, American & Eurasian Oystercatcher difference, American Oystercatcher Abaco, Bahamas Birds, Birds of Abaco by Keith Salvesen, Bruce Hallett, Keith Salvesen Author, Tom Sheley. Bookmark the permalink.